In a world of devices that often creates a digital bubble, wherein users grow comfortable with specific browsers and operating systems, two specific players are managing to separate themselves from the pack. Chrome continues to grow its web browser market share (now 61.2 percent), and Android is even more dominant among mobile operating systems than before (65.19 percent). Web developers pay close attention to market shares among browsers, operating systems and screen resolutions, in order to make the right compromises when two competing platforms can’t both be optimized. The browsers and operating systems come out with frequent updates that can change some of the compatibility that had already been established. This means features in web products like online catalogs might now need tweaking to function properly. These discrepancies are often referred to as “bugs,” which can be easily created by browser and operating system updates. For the most part, however, a strong backbone to the developer code and the use of widely-accepted development language, like HTML5, can mitigate a majority of these potential problems. Developers who still rely on software like Adobe Flash run the risk of stumbling into significant problems with these updates because the code isn’t as flexible and browsers are not as concerned with its functionality. Nonetheless, choices must be made and lines must be drawn as to where a web product claims it is compatible and where it is not. 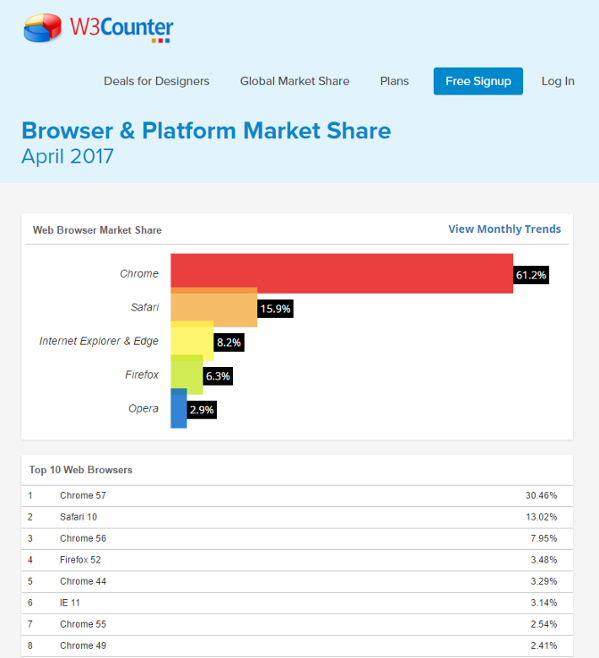 Dirxion’s online catalogs, for example, focus on the four major web browsers — Chrome (61.2 percent), Safari (15.9), Internet Explorer & Edge (8.2) and Firefox (6.3). This means that its product testing and QA teams check out the online publications performance and corresponding features on a variety of versions of Chrome, Safari, IE/Edge and Firefox. Dirxion’s products could still work fine on Opera (2.9 percent); however, that won’t be guaranteed. 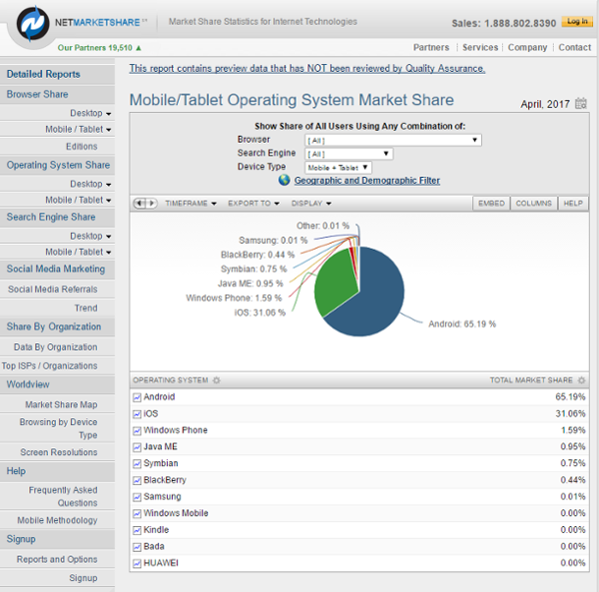 A similar methodology is given to mobile operating systems. With Android and iOS comprising 96.25 percent of the market share, and Windows Phone only holding 1.59 percent, Dirxion’s QA team gets their hands on a variety of Apple and Samsung devices but does not test on Microsoft phones. Similar strategies are used by web developers throughout the Internet.